Introduction by J.D. Daniels, Ph.D. and Denise Daniels, Ph.D.
Our father, Dr. David Daniels, loved the Enneagram with all his heart. One of the reasons he was so passionate about this personality typology was seeing how extraordinary the Enneagram could be towards facilitating personal growth. Individuals suffering in emotional distress could find a path to their version of healthy, and those intent on further growth could pursue transformative change. He observed the benefits of the Enneagram for psychological and emotional change, both in his psychiatric private practice, and in the countless Enneagram workshops he co-lead nationally and globally, which often resulted in rapid personal growth. While David fully appreciated the spiritual history and tradition of the Enneagram, his background and training came from a scientific tradition — medical school. As such, he always wanted to take the Enneagram beyond “face validity” (a process that appears to be effective in terms of its stated aims); he was devoted to seeing the Enneagram be scientifically verified as a method for substantive, personal change. With this in mind, I know my father would be so pleased with the announcement of the release of a newly published journal article, “Advancing Ego Development in Adulthood through Study of the Enneagram System of Personality,” which he co-authored with Terry Saracino, MA, MBA, Meghan Fraley, PhD, Jennifer Christian, PsyD, and Seth Pardo, PhD in the Journal of Adult Development. We, David’s family, are incredibly grateful for the perseverance and resiliency of all of the co-authors for seeing the article through to completion — a 13-year process! The bottom line and very good news of the journal article, Enneagram Intensive Trainings can in fact promote psychological growth and ego development. 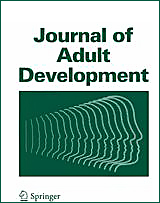 READ THE SCIENTIFIC ARTICLE >> “Advancing Ego Development in Adulthood through Study of the Enneagram System of Personality“ can be shared and read online at www.springer.com, Journal of Adult Development, January 30, 2018.